Whether you’re a solopreneur or part of a team, you’re already fighting tooth and nail to build your own audience. That’s the whole reason for existing! But beyond building your own audience, another effective way to get yourself in front of people’s eyeballs is tapping into existing audiences that other people have already built. Those people are called influencers. And no matter what niche you’re operating in, I can guarantee that there are plenty of influencers you can connect with…if you can find them. You could just poke around the Internet and find them yourself…if you weren’t already busy running every other aspect of your business. A better approach is to use a tool that’s specifically designed for influencer research. Such tools can help you easily find, analyze, and connect with the most relevant and authoritative influencers in your niche. To help you get started, I’ve collected a bunch of the best influencer research tools for everyone from solo bloggers to small businesses and enterprises. If you’re interested in influencer marketing, that probably sums up your goals pretty well! So how does BuzzStream actually help you build those relationships and get that buzz? It starts with influencer research. First, BuzzStream offers a browser extension that lets you research regular websites you find while browsing the web. For example, if you stumble across a popular blog in your niche, BuzzStream lets you add that blog to your list and see a bunch more information about the person behind the blog. Then, you can easily add those influencers to sortable, filterable prospect lists. For example, you can sort by authority, or whether someone has promoted you in the past (if they’ve already promoted you before – that gives you an even better chance to get that second mention!). Once you have your prospect lists, BuzzStream makes it easy to send out personalized emails and automated follow-ups, as well as see data on how effective your outreach efforts are. 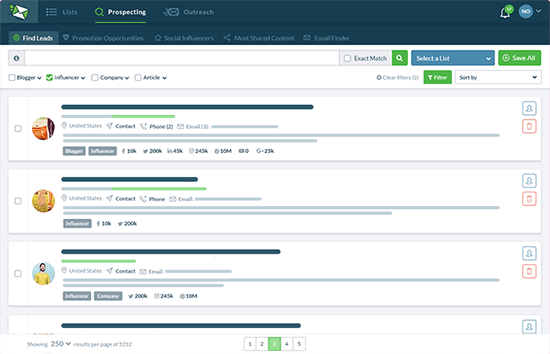 Basically, BuzzStream sets out to help you manage your entire influencer marketing efforts – from research all the way through to tracking your relationships and analyzing your performance. Despite that full-service approach, BuzzStream still has pricing plans that are accessible for solo bloggers and entrepreneurs. BuzzStream’s Starter plan begins at just $24 per month for up to 2 users. While it doesn’t have every single feature, it should have all the features most bloggers need. And as you scale up in price, you get features that also make BuzzStream great for larger businesses and teams. You can also get a 14-day free trial to see if BuzzStream is for you. While you will need to enter a payment method to get the trial, there’s no charge as long as you cancel before the trial is up. Platforms supported: Blogs (main focus). But does integrate social media in some ways, like listing a blog influencer’s social media accounts. Like BuzzStream, NinjaOutreach is another full-service cloud-based influencer research tool. In fact, you’ll see a lot of similarities between the two, though I’ll try to suss out some differentiators at the end of this section. Beyond websites, NinjaOutreach also lets you search Twitter and Instagram. And like BuzzStream, NinjaOutreach also offers a browser extension that lets you see information about a website while you’re going about your day-to-day browsing. Once you’ve found some prospects, you can add them to a sortable, filterable prospect list. You can also add tags to organize things further. And then once you have your prospect lists, NinjaOutreach helps you send automated, personalized emails to the people on your list, as well as automated follow-ups if desired. NinjaOutreach will track details on email opens, clicks, and replies so that you can see how efficient your efforts are, as well. NinjaOutreach lets you automate your entire email sequence (including initial email), while BuzzStream only lets you automate your follow-ups. Personally, I find automating the initial email to be a bit spammy – but to each their own. NinjaOutreach lets you directly search for Twitter and Instagram influencers. While BuzzStream does display information on social media accounts, it’s still primarily focused on websites. BuzzStream includes more team-focused features than NinjaOutreach. Additionally, because NinjaOutreach’s cheapest plan starts at $69 per month, BuzzStream is a bit more accessible for smaller bloggers. Like BuzzStream, NinjaOutreach offers a 14-day free trial, so you can sign up and see if it’s right for you at no risk. 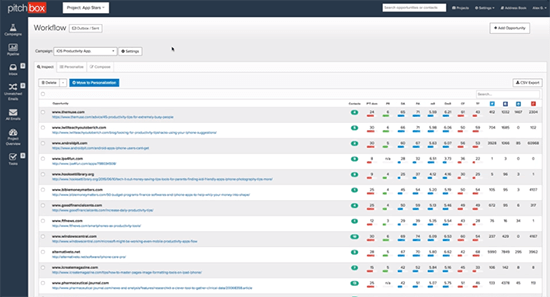 Awario calls itself a “social media and web monitoring tool”. But part of that “monitoring” actually includes features that you can apply directly to influencer research. Essentially, this lets you find the most influential people who are posting about you and your niche. Then, you can reach out to those influencers or monitor them to slowly build a relationship over time. This helps you not just find influencers one time, but also stay on top of influencers as time goes on. Awario starts at $29 per month (billed monthly). You can also snag 2 months for free if you pay annually. There’s a lot that a lot more that’s possible with a social listening tool – it can even help you with guest blogging. Neat, right?! Find out how you can find super under-the-radar guest blogging opportunities in this tutorial. Platforms supported: Blogs, Facebook, Twitter, Instagram, YouTube, Google+, and Forums. 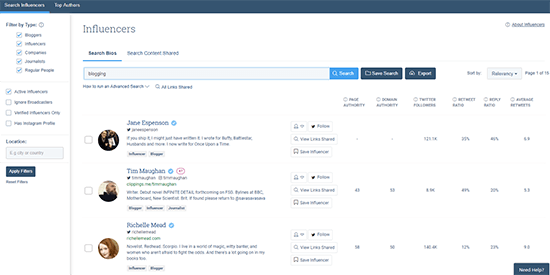 Buzzsumo is a neat tool that can help you find influencers in a few different ways. First, it can help you find the most popular content for specific topics. While I personally enjoy using this feature to find competitor’s top-performing content or just come up with topic ideas for my own sites, you can also just as easily use it to find the top-performing posts in your specific content niche (so that you can then connect with the person behind each popular post!). There are also other filters for activity, verified status, location, and more. BuzzSumo offers limited searches for free. For unlimited searches, plus more pro features, plans start at $99 per month. 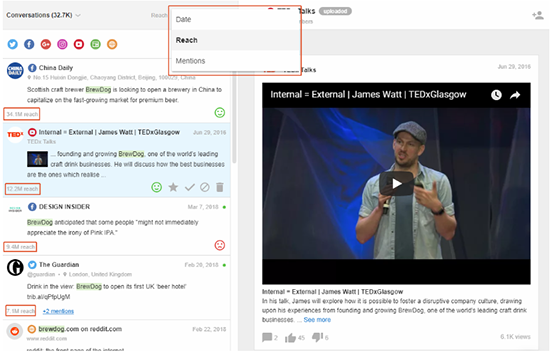 Pitchbox is an influencer outreach and research tool marketed towards SEO teams. While anyone can use it, that’s a good reminder that this one is best for blog outreach, rather than anything to do with social media. Once you have some influencers you want to connect with, Pitchbox helps you send personalized outreach emails, as well as automated follow-ups that they claim can boost response rates by 62% on average. The only downside? Pitchbox’s pricing puts it out of reach for many solo bloggers and their pricing has now been hidden from their website, so you have to arrange a demo in order to learn more. Let’s make things a little more affordable with these next couple tools. Both of them offer free plans. And while they’re not as full-featured as the paid tools above, they’re a good option for bloggers on a budget. First up, there’s Followerwonk. Formerly a tool from Moz, Followerwonk is in the process of transitioning to new ownership under one of the original engineers on the project. Put simply, Followerwonk helps you find Twitter influencers in your niche. It doesn’t do other networks – but if Twitter influencers are what you need, Followerwonk can help you find them for free. The tool lets you search Twitter bios by keyword and then compare those accounts to other Twitter users and/or download reports. Followerwonk’s Analyze tool can also help you create various segments of Twitter users. 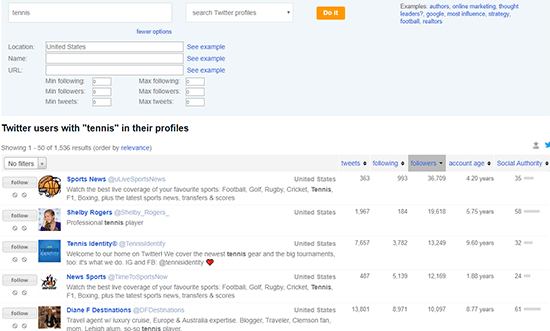 And it also includes other features for Twitter analytics that can help you monitor your own account. While not part of influencer research, you still might find these features helpful. In the end, Followerwonk can’t compete on pure functionality to any of the previous tools. Nor is it trying to. It’s just a good solid introductory tool that won’t cost you a penny for basic influencer research. Hunter is a bit of a twist. It doesn’t necessarily help you find an influencer to target. But once you have an influencer in mind, Hunter can help you actually get in contact with that person directly via their real email address (rather than an anonymous contact form). While some full-service influencer research tools (e.g BuzzStream, NinjaOutreach) offer something similar, Hunter focuses solely on finding email addresses. Better yet, Hunter is free for up 100 email searches per month. 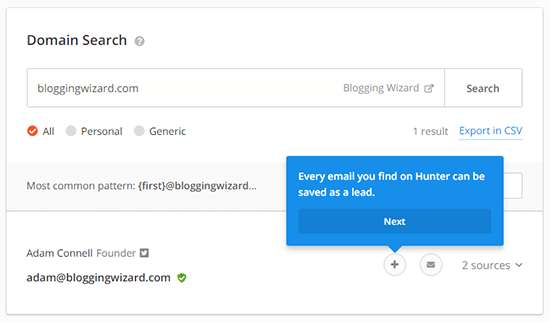 Hunter also lets you save email addresses as leads and track outreach emails that you send via Gmail. GroupHigh is another premium service to help you find influencers. While it’s main focus is on blog influencers, GroupHigh can also help you find Twitter, Instagram, and YouTube influencers. Its blog database holds over 15 million blogs, while its social media databases are a good bit smaller (1.25 million for Twitter, ~200,000 for Instagram and YouTube). Then, you can add those influencers to a list (or import your own list of URLs). While GroupHigh doesn’t offer automated outreach like NinjaOutreach, it does include an influencer CRM to help you manage the people you’re connected with. And it also includes content and engagement monitoring to see how effective your mentions are. While the main service is premium (you need to schedule a demo for pricing), they have published some free influencer lists so you can see the type of results that GroupHigh is capable of generating. Dovetale brands itself as “Real-time analytics to grow your brand”. 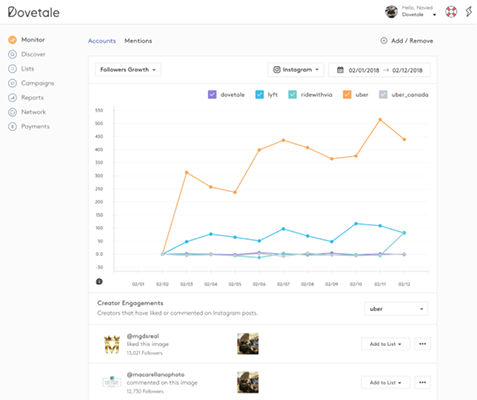 And while not all of those analytics are focused on influencer research, Dovetale offers two neat ways to find influencers related to your brand. 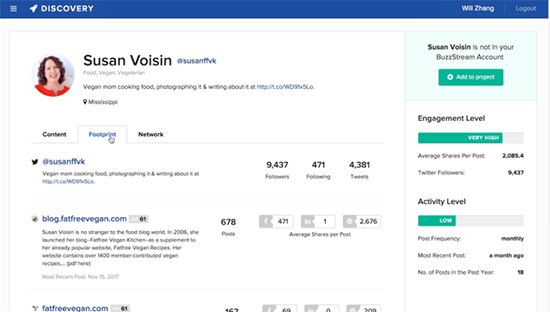 First, it has the standard “discover” module where you can search for influencers using keywords and then filter by things like total reach and location. Helpful…but most of the other tools can already do that for you. But what I think is cool about Dovetale is its Monitor feature. 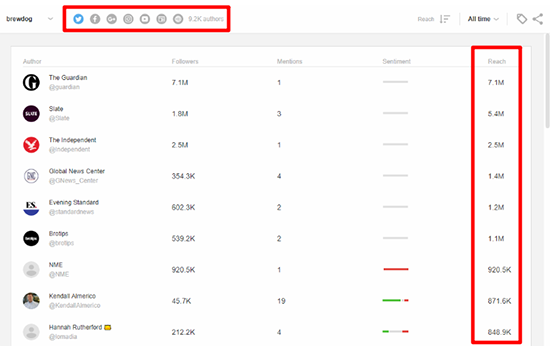 This feature lets you track your competitors and see which influencers are engaging with your competitors. You can also do the same for your own accounts, but I think the competitor analysis is the coolest part. From there, you can quickly add one of those creators to your own list or view more information about them to see if they might be a…”better fit” with your brand. Competitor analysis works great for SEO, and it can work just as great for influencer outreach. Once you have prospects, Dovetale helps you manage them with lists. And another interesting feature that you won’t get with many other tools is Payments. If you’re doing paid influencer marketing, you can actually manage payments and collect tax details right from the Dovetale interface. Dovetale starts at $199 per month. While this is a bit high for solo bloggers, it’s still in line with something like Pitchbox. Which of these influencer research tools should you use? It’s impossible to give one overall recommendation because a lot of your decision should come down to your unique needs and budget. If you’re a blogger, BuzzStream is probably the most accessible full-service influencer research platform that won’t bust your budget. It has the deepest functionality that you’ll find without crossing the $25 per month barrier. If link building and SEO is your focus, Ninja Outreach is an excellent option. It also comes with discovery tools for both websites and Twitter/Instagram. Pitchbox is another option if your focus is on outreach, and SEO but you’ll need to schedule a demo just to uncover their pricing. Buzzsumo also has some nice free features that are worth a look, especially if you’re primarily interested in Twitter. And Followerwonk and Hunter each provide helpful, but limited, free services. GroupHigh and Dovetale don’t receive as many mentions, but GroupHigh has good coverage and some neat filter options, and Dovetale’s monitoring features are really cool. Many of these tools also offer free trials or free tiers, so you can play around with the ones that you find interesting to find the right platform for you. Now get out there and find some influencers!